The pleasure of sipping on an umbrella drink while soaking in the sun's rays can be enjoyed at a great number of all-inclusive resorts all around the world. Beach resorts might make for terrific vacations, but they won't be able to provide the thoroughly one-of-a-kind experiences to be found at these far more unique beach destinations that deserve a place on your travel bucket list. The common assumption with beaches is that they must be located with the sun basking in hard from overhead. 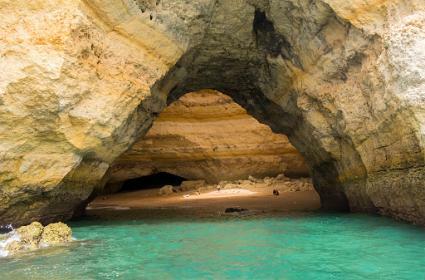 That is precisely not the case with the Benagil Sea Cave, located along the Algarve Coast on the southern part of Portugal. The coastline in Argarve runs some 150 kilometers, and in some areas, like near Benagil, the beach is actually found inside the cave. Blindingly white sand has somehow become the gold standard for a perfect beach destination among some travelers. For a thoroughly different vista, check out Wai'anapanapa State Park. 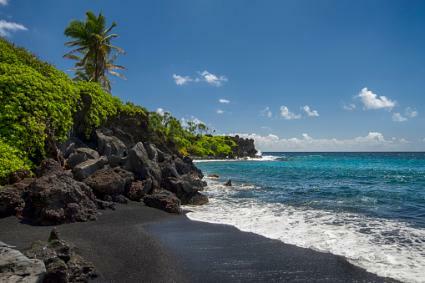 Located along the breathtaking "Road to Hana," the park is home to the black sand Pa'iloa Beach. The black color comes from centuries old lava flow, making for some truly unique photo opportunities. For a more colorful take on the regular beachgoing experience, head to Big Sur in California where you can find Pfeiffer Beach. 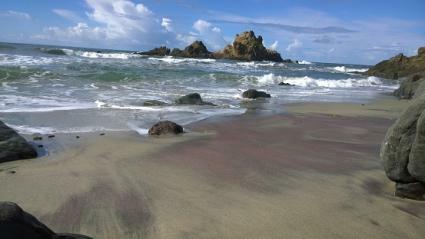 Patches of purple sand are formed from the manganese garnet deposits streaming down from the surrounding hillsides. Don't expect to be a barefoot contessa; the rugged topography is much more conducive to climbing the rock formations. Many of the world's most famous beaches have hotels and resorts located nearby, but Bora Bora is one of the few places where your accommodations are literally on top of the water. 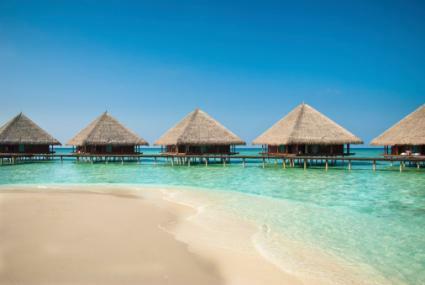 Surrounded by amazing white sandy beaches, overwater bungalows with glass bottoms are built above the turquoise lagoons. The family friendly Matira Beach is the best known in the area, perfect for easy swimming. The many beaches of the Caribbean are popular tourist destinations in their own right, but Maho Beach on the small island of Saint Martin offers one feature you're unlikely to find anywhere else. 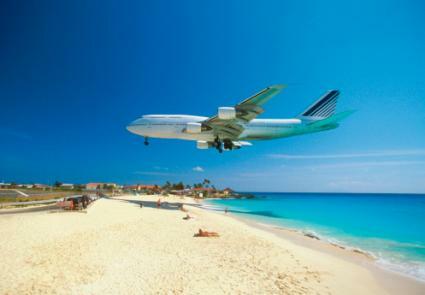 Princess Juliana International Airport is located literally adjacent to the beach, meaning that airplanes taking off and landing are flying remarkably low overhead. You'll feel like you can almost reach up and touch them! Just be careful of the sand and debris that can kick up with the roar of the jet engines! You don't need to brave the frozen desolation of Antarctica to see penguins in their natural habitat. 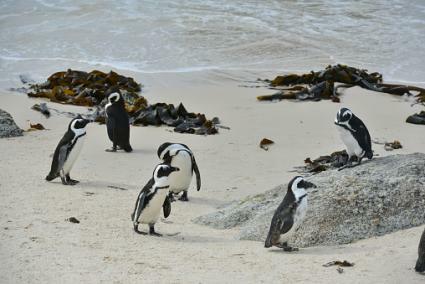 Located near Cape Town in South Africa, Boulders Beach is home to over 2,000 endangered African Penguins. The boulders create a safe haven from the wind, making for a calm sandy shore for the colony of flightless birds. An entrance fee is charged to enter this marine protected area. For a truly magical evening, head to the beaches of Vaadhoo Island in the Maldives after the sun has set. 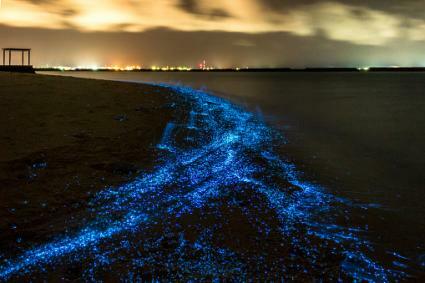 The sand and waves literally glow in the dark, illuminated by the bioluminescent phytoplankton. The microscopic creatures, known as dinoflagellates, put out an amazing blue glow. It's your own private light show! 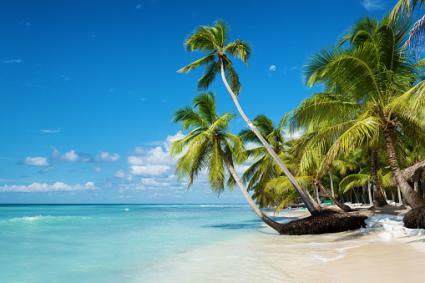 Pack up those sunglasses, sunscreen and sun hat and enjoy the amazing beaches that the world has to offer. From white to black to purple, feel the warm sand between your toes and be the envy of all your Instagram followers with your unbelievable selfies. Suddenly, their sushi lunch doesn't look all that impressive anymore.